Superdry men's Triple Drop Track oversized hoodie. This oversized hoodie features a cross over drawstring hood, large pouch pocket and ribbed cuffs and hem. 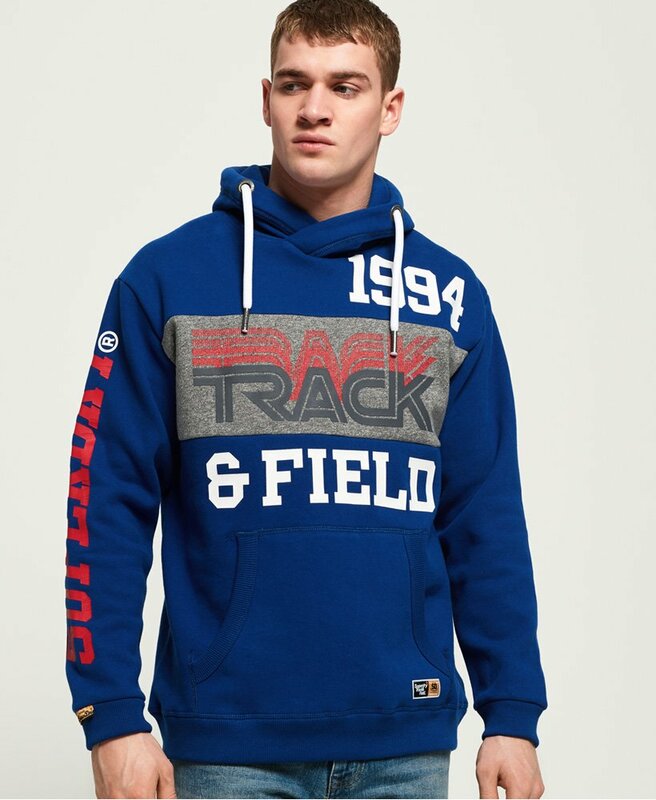 This hoodie also features a large textured Superdry graphic across the chest and a cracked print Superdry logo down one sleeve. Completed with a Superdry logo badge above the hem and a Superdry logo tab on the sleeve.